MOVIE REVIEW: Disney's "Oz the Great and Powerful"
"Oz The Great and Powerful" is a Disney movie directed by the wondrous Sam Raimi and stars the likes of James Franco, Mila Kunis, Rachel Weisz, Zach Braff and Michelle Williams. With all of that star power, you’d have to guess that this film would be spectacular. It was that, and more. We were able to view it in 3D in Greenbelt Cinema, which really bought the story to life. The visuals are extraordinary and the 3D aspect was not only beautifully presented, but in a time where some films make me question why 3D is used, this film seemed to have been born for it especially on its opening credits. I felt like I was actually in the Land of Oz, and when I removed the 3D glasses, I was just a little sad to realize I really was just in a theater. 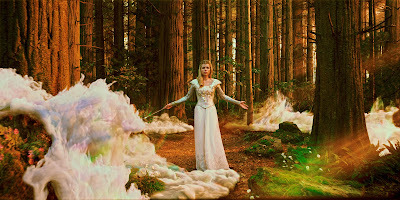 As far as the story goes, "Oz The Great and Powerful" was a great way to clear up questions and get to know the history behind the classic. James Franco plays Oscar, a carnival magician, and manages to enchant us right from the beginning with his stylish swagger, devilish smile and quirky sense of humor. He was made to be Oz. All of the actors were placed in roles that were meant for them and did a fantastic job staying true to the magic of the land of Oz. 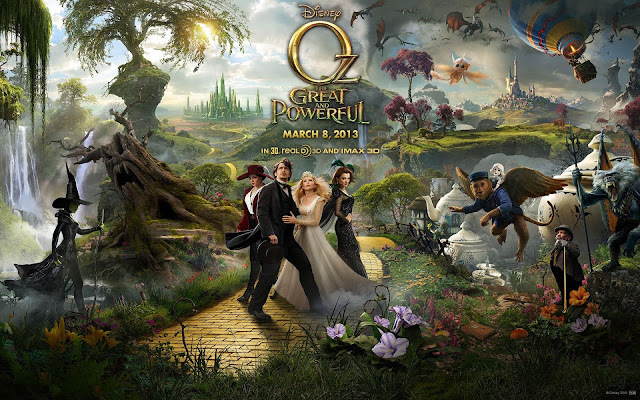 Based on characters created by L. Frank Baum, Oz The Great and Powerful takes us back to the love we felt the first time we experienced "The Wizard of Oz." 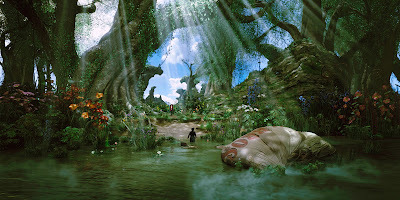 It’s set in the same Oz we viewed during Dorothy’s journey, filled with Winkie Soldiers, Witches, flying monkeys, The Emerald City and that famous yellow brick road. When you think about the name Oz, if you are anything like me, you picture a yellow brick road, ruby slippers and 'Somewhere Over the Rainbow.' Don't expect to see the lion, scarecrow, tin man in this movie. They're not in here though before I watched the movie, I was expecting for me to at least have a very brief background where they really came from. The costumes and effects were spellbinding and the transition from the classic black and white to Technicolor takes your breath away. The 3D effects were very convincing, frightening my son just a bit during the Wizard’s trek through the Dark Forrest. Bringing you into a world you’ve never seen is what Disney does best, and they have outdone themselves with this film. It’s a family-friendly movie full of excitement, humor, and heart-felt life lessons.